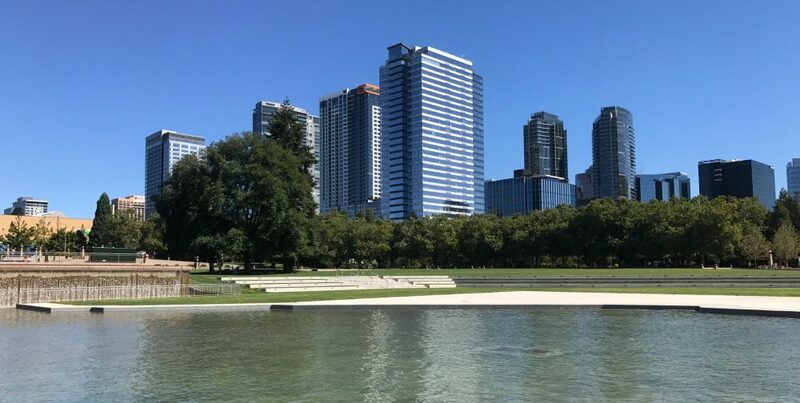 After a 20 year absence, Amazon is returning to its Eastside roots as it prepares to occupy the recently completed Centre 425 office building in downtown Bellevue. Amazon employees are scheduled to move into the 354,000 SF space this summer. The initial plan is to move about 1,000 people into the new office with the potential for growth in the future. Amazon currently employs 40,000 people in Washington State with many working in several buildings in Seattle’s South Lake Union and Denny Triangle neighborhoods. As the company continues to grow, it is anticipated the move to Centre 425 won’t be the last Eastside location for Amazon. Centre 425, located at the corner of NE 4th Street and 106th Avenue NE, will once again be home to a Bank of America branch. B of A originally occupied the street level retail space in the former building and moved to temporary quarters during construction.